To make the frangipane. Mix all the ingredients together to form a soft paste. Refrigerate until required. Unroll the puff pastry and leave it on the paper it was wrapped in. Cut the pastry into 8 rectangles and place the paper with the pastry pieces on a baking tray. Combine the strawberries, raspberries, caster sugar and rosewater together in a bowl. 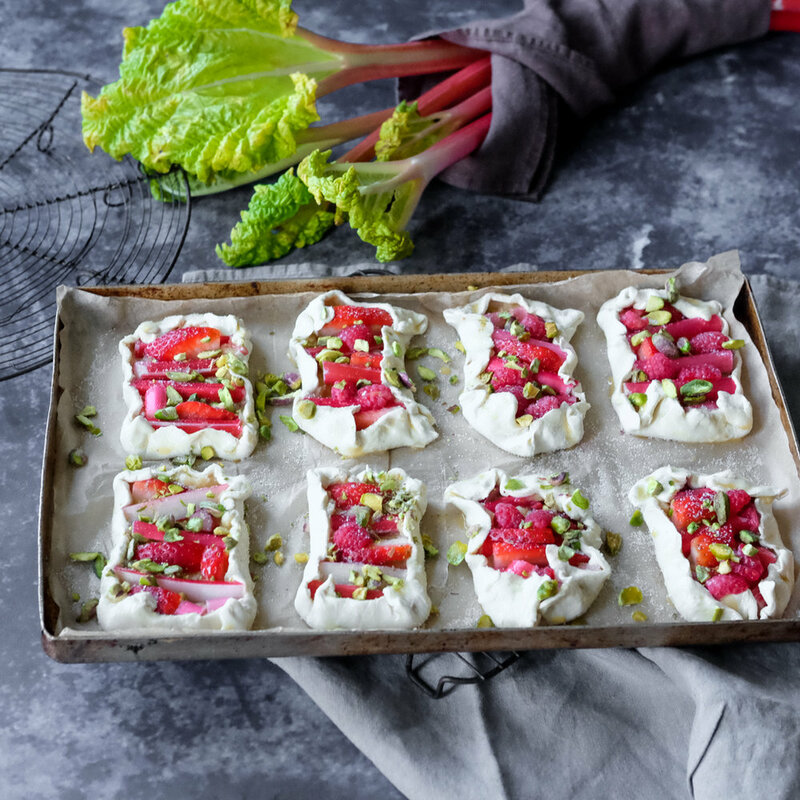 Spread each piece of pastry with a tablespoon of frangipane and top with rhubarb mixture. Roll the pastry edges over the filling to secure.Brush the edges of the pastry with the beaten egg and sprinkle the galettes with pistachio nuts. Bake the galettes for about 12 minutes and just before serving sprinkle them with icing sugar.